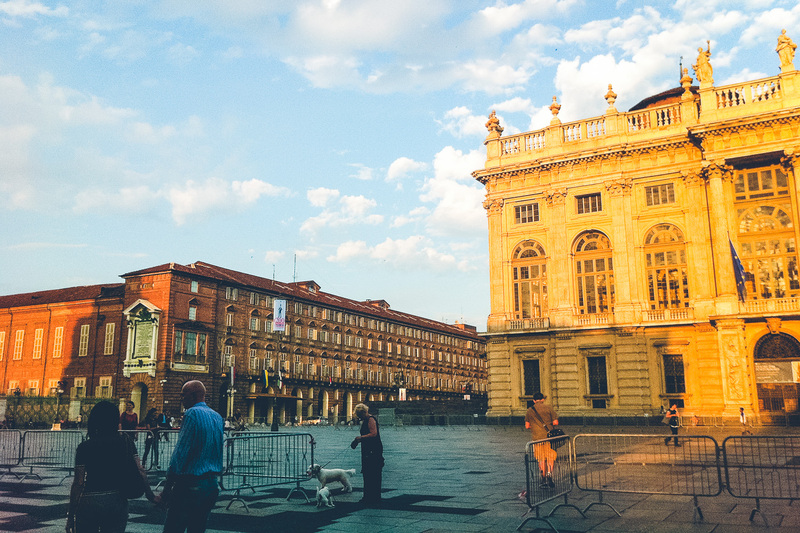 We arrived in Turin (Torino), a large city in northern Italy on Sunday morning. Everything went smooth and flawless: arrival at the airport was easy (no lost luggages), the taxi driver was honest and helpful and the Airbnb host was brilliant. We stayed at a 1-bedroom flat in the centre via Airbnb, just off Via Garibaldi, one of the longest pedestrian streets in Europe (pictured below) and the location was perfect. And of course, nothing was open on a Sunday, except for EXKi, which is a chain of casual grab-and-go eateries. We picked up some vegan seitan stew & orzo stew at EXki, which was both pretty filling. 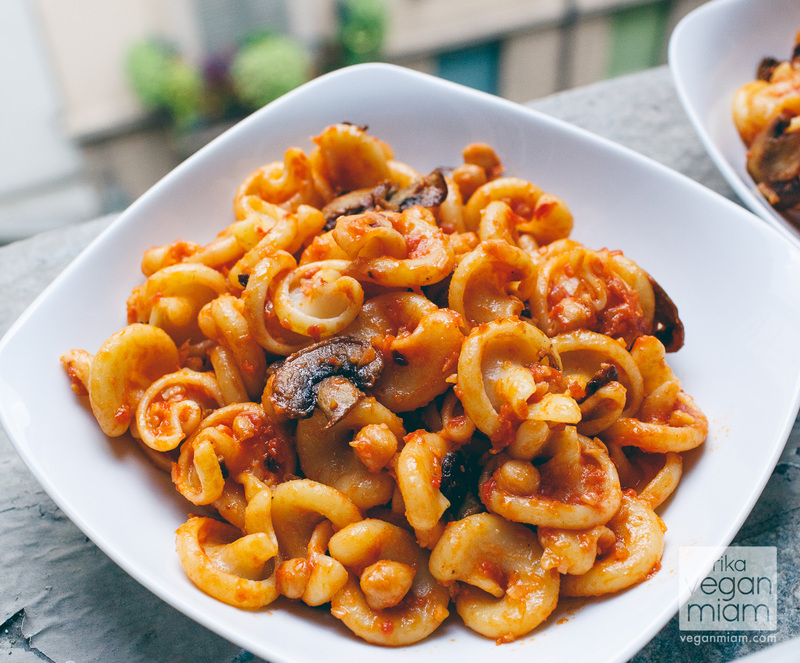 We’ve been making loads of pasta dishes at the apartment’s kitchen lately – they are affordable to make and filling. 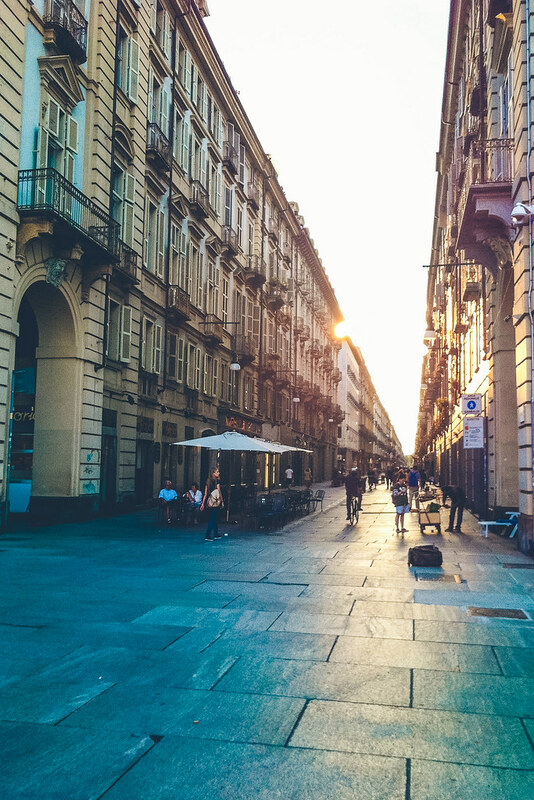 We’ve also made a list of vegan and vegetarian places in Turin to go and we will check them out sometimes next week or so; we also found a few places with vegan options that weren’t mentioned on Happy Cow, so that is something new. Few days ago we made a very simple yet delicious pasta dish using mostly organic ingredients and a bag of fancy pasta we found at Eataly: Vegan Spicy ‘Vesuvio’ (named after the famous volcanic mountain) Pasta with organic Passata Rustica (Thick Tomato Sauce) and organic Chickpeas, garnished with extra-virgin olive oil and peperoncino (crushed chili peppers). It was absolutely yummy and easy to make! 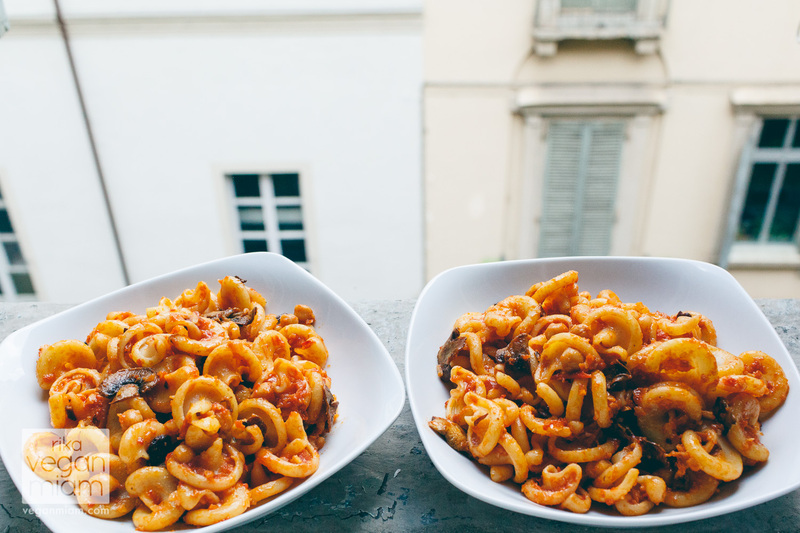 Follow our Instagram here for more homemade meals in Turin. 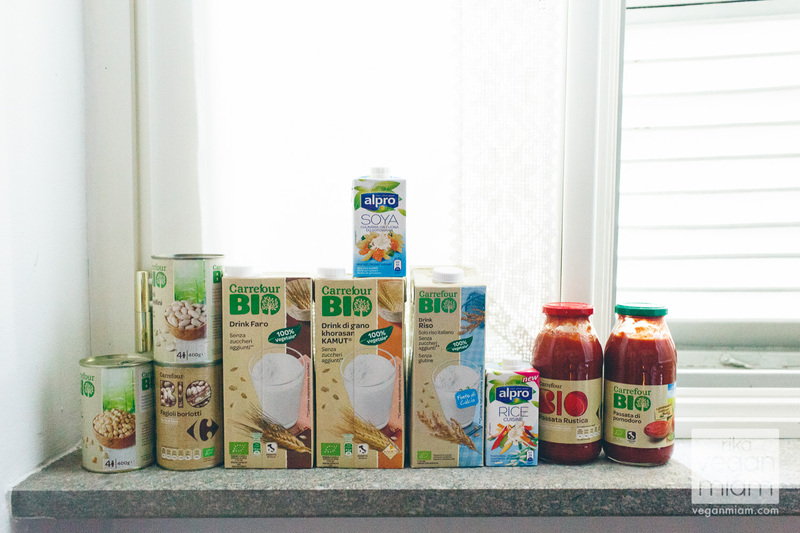 We also went grocery shopping and bought a bunch of some organic and vegan products at Carrefour. We enjoyed the Farro and Kamut “milk”, which was pretty unique to try here in Turin. Have you tried any of these or the Farro or Kamut “milk” before? I’ve never seen a rice cooking cream before and used it in my creamy pasta dish yesterday and today – it was so yummy! Besides delicious home cooked meals, we also dropped by a few lovely beauties such as River Po and Madama Palace (Palazzo Madama). 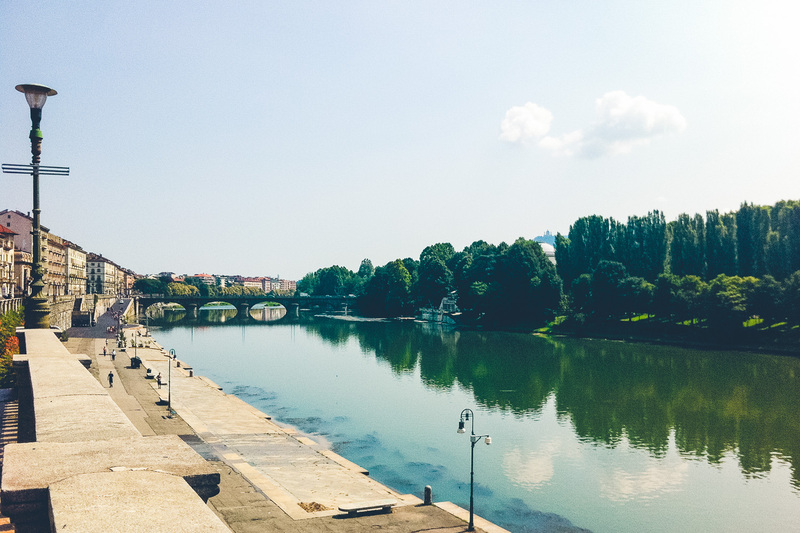 River Po is the longest river in Italy that flows either 652 km (405 mi) or 682 km (424 mi) to major cities including Turin (Torino), Piacenza and Ferrara according to Wikipedia. Pictured above: Madama Palace (Palazzo Madama), first Senate of the Italian kingdom. It is located in the centre in Piazza Castello. That’s it for now, it’s nearly 1 in the morning and we head to Genoa in a few hours by train, which will be a full-day trip. Genoa is another city in northern Italy, but a port city just off Mediterranean Sea. 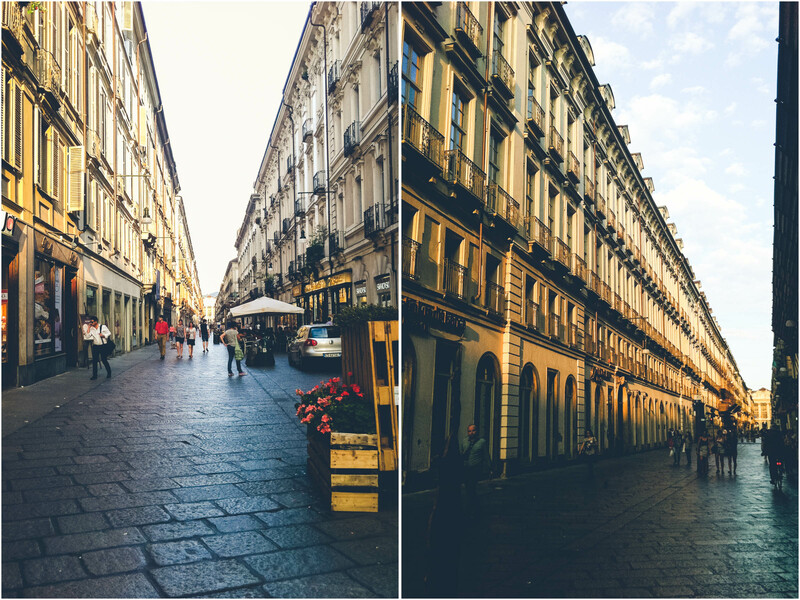 Have you been to Turin or Italy before? Would you try the Vegan Farro or Kamut “milk”?